Growing up, my sister taught me that the upside of tragedy is that it can be turned into art. And even better: into comedy. 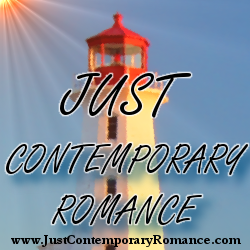 This is what draws me to write contemporary romance with humor. My sister, Theresa Alan, is an author, too. When she was in high school and I was in middle school and we were dealing with a difficult family situation, she funneled her feelings about it into her first published essay (in Sassy magazine! Remember that one? Anyone?). I followed her lead and took the same situation and wrote a funny poem and drew a silly picture about it. It made me laugh, and I think, especially as a tween, that was empowering. I couldn’t control the situation, but I could control what I did with my feelings. When I got into high school, I developed an interest in politics and activism, and I found myself not knowing what to do with the deep anger I felt about the injustices in the world. So I wrote standup comedy about it. It’s cathartic to find a way to laugh at anger and pain because getting to the other side of it—somehow divining a punchline in all the turmoil—means you are forced to accept and honor the reality and emotion. It’s not about being glib about terrible things; it’s about finding your way through life’s difficulties with your heart intact. When I was 28 years old I was diagnosed with a rare bone cancer, and as you can imagine, my world was flipped upside down. I had just completed an 8-month yoga teacher-training program and was the healthiest and strongest in body and mind that I have ever been. Cancer? Possibly losing my leg or never being able to fully bend or straighten it again? Terrifying, and also completely absurd. Since my disease was rare, the options offered me by multiple world-renowned doctors were widely varied and ambiguous. I ended up seeing four of the top orthopedic specialists in the US and one in Germany, so with all that travelling around, finding my treatment took time. During that time, I channeled the confusion, the pain, the absurdity into art, writing a one-woman show about it. After my surgery, during my year on crutches, I started writing Ellie’s story. As you can see, I greatly value humor as a tool for life. But why the romance aspect? Simple: because of love. Love is the greatest connecting force in our lives. And while I love the connection that comes with laughter, our loved ones are there in the quiet moments of our darkest hours, in the rawness, before we can find our way through. We juggle our own humanity—fears, hopes, insecurities—to be brave enough to be vulnerable with others, to love and be loved. During my cancer diagnosis and recovery I was lucky enough to be surrounded by an unbelievable support system and so much love, and I wanted that for Ellie in A Messy, Beautiful Life. She has a lot thrown at her, but the people in her life are her force field. Love is the highest art. It’s the upside to all of life. My Ice Princess glare did nothing because he pulled me into line, too close to Jason and his most-surely-a-model girlfriend. They turned around at the same time. I can hardly explain the double take Jason gave me. It was like an emotional sundae—two scoops of fear with a sprinkle of huh? and a dollop of awkward with excitement on top. He nodded. I nodded back. That torso. Smooth and tan and apparently filled with a billion bio-magnets, because the entire organ that was my skin gravitated toward it. “I heard you guys had some fun skits last night. That’s so great,” Marissa said. Jason wore only his board shorts and flip-flops. I’d hoped my feelings last night were a result of the high from the show making everything shinier. But now, in the light of day, he looked even more irresistible than I remembered. Cheers and curses to the world of fashion for making low-riding board shorts a staple in guy’s swimwear. Sara Jade Alan wrote her first comedy sketch during second-grade recess, then cast it, directed it, and made costumes out of garbage bags. Since then she’s performed in more than a thousand improvised and scripted shows. Currently she’s one half the comedy duo The Novelistas, who perform about the highs and lows of writing and publishing. When she’s not writing or performing, she gives My Life Online presentations in schools to teach kids how to create a positive online footprint, and she’s an educator with Girls Leadership. Raised in a suburb of Chicago, Sara now lives in Colorado with her husband and daughter. 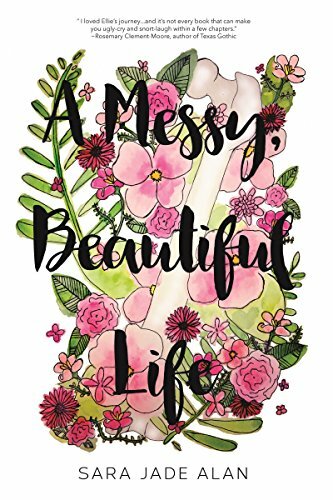 A Messy, Beautiful Life, Sara’s debut YA novel with Entangled Teen, is inspired by her personal life story.